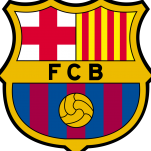 The club are owned by Rakuten (sponsor of Barcelona). Good to start a new thread for this one because much of the stuff in that Iniesta thread belongs to his life at Barça. Could see this move happening from a while ago to be honest. A much better move than going to China. $30million per year. Not bad work if you can get it. Yeah and I’ve read there’s a number of promotional parts to the deal that triples the amount. Mad money! Now he can really pretend to be Captain Tsubasa. I'm looking forward to seeing if this leads to a domino effect in terms of players going to Japan. When I was in my teens the China and the MLS of the time was Japan. Most of the biggest names would go there in the twilight moments of their career. I specifically remember the magnitude of Gary Lineker moving out to Grampus Eight at the time. Iniesta has called it a day in elite football way too early... In the final few months of the season just ended he was Barça's best player so Japan and Kobe are getting more than just the name Iniesta arriving in their league. I too hope to see more of this in the future rather than China for sure. Iniesta was presented in front of a record amount of press journalists for Japan. Over 300 journalists squeezed into the conference room... He was then presented in front of the packed Kobe baseball team which is apparently meant to be a big honour (someone that knows more about Japan can fill me in on that one). What a waste of a perfectly good footballer. He could have played for Barca for 2 more years.